There is a wide array of attractions throughout Walt Disney World. Everything from film, both with and without enhancements, to reproductional walk-throughs, rollercoasters and omnimovers are all used in the storytelling presented throughout the parks. Yet, if I am being totally honest with myself it has always been the Audio-Animatronics that have drawn me inspired awe within my inner child. Since its unveiling, my favorite Audio-Animatronics figure has been Expedition Everest’s yeti. 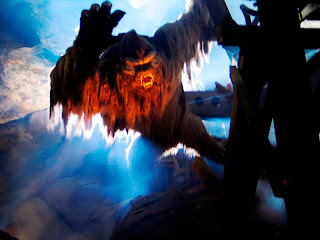 Sure, the redhead from Pirates of the Caribbean turns heads and John in Carousel of Progress tells tales just like my own father could, but there is something about the yeti that has always intrigued me. I must admit I had a fascination with the creature before the attraction was created, but seeing the twenty-two foot tall yeti lash out at my passing tea train for the first time reignited my curiosity for the beast. When Expedition Everest officially opened on April 7, 2006, the entire attraction was a marvel of the amusement industry with three separate structures and the most advanced Audio-Animatronics figure ever developed. The hydraulic yeti was able to move five feet horizontally and two feet up and down with the 259,000 pounds of force, or the power of a 747-400 plane. It was, for the first several months of Expedition Everest’s existence, quite the sight to behold. Damage to the structural foundation of the yeti’s assembly, due to force we discussed above, an alternative yeti was activated in the attraction. Dubbed “B” Mode, the majority of the yeti’s life has been spent in suspended animation, a condition where he resides in a static state with strobe effects creating the false sense of motion for guest traveling aboard Expedition Everest’s trains. While still able to startle passengers, the strobe effects lack the swinging and swiping motions that caused guest to take pause when passing by the creature’s cave. Given the nickname of Disco Yeti, this incarnation of the attraction has been in place since the attraction’s foundation problems began. Even with only the strobes illuminating the creature, the form of the yeti still cut a stunning silhouette offering brief glimpses of the beast, not unlike the fleeting photographs and evidence found in the Yeti Museum, part of the Expedition Everest queue. Currently, however, even the motionless yeti figure has been covered by a dark tarp. Rumors of the yeti’s fate, from a swiping paw to full-blown recovery of motion, permeate message boards everywhere, but without hard evidence it is unclear what is to become of the snow-covered beast. From the footprint castings provided by Joshua Gates and Destination Truth, to the claw marks present in the snow and down to the nitty-gritty details hashed out by Joe Rohde and his team when crafting the creature, the yeti is as indelible to the Forbidden Mountain as the tea trains that carry guests along the mountainous route. 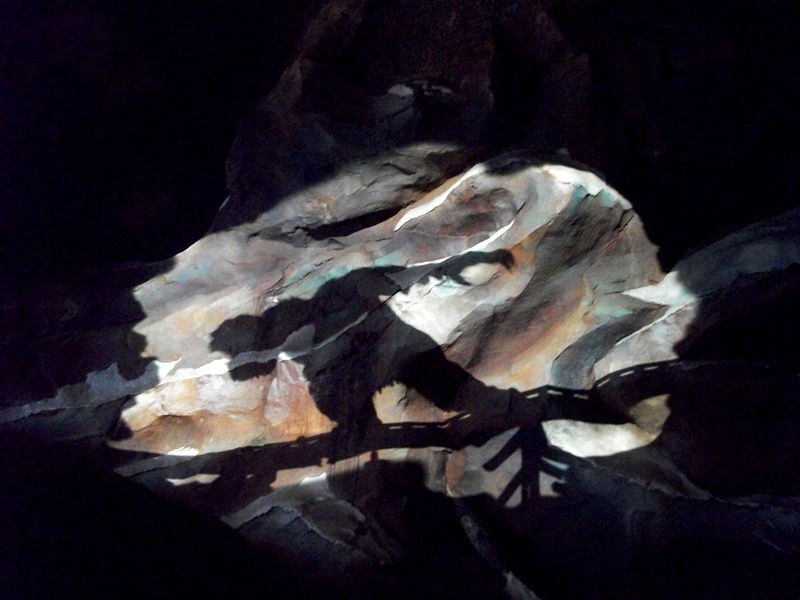 Since the attraction rose from Asia in Disney’s Animal Kingdom, the yeti has had a storied tale that can only be matched by its real world narrative. I, for one, wait impatiently and with great anticipation for the return of this remarkable Audio-Animatronics figure. The speed they are designing into their audio animatronics is incredible. Once they get past that pesky "tearing its own self to pieces" problem, there's no end to what they could do (can you imagine a full sized "Night on Bald Mountain" at the Disney Sea?—would be a great story to tell).